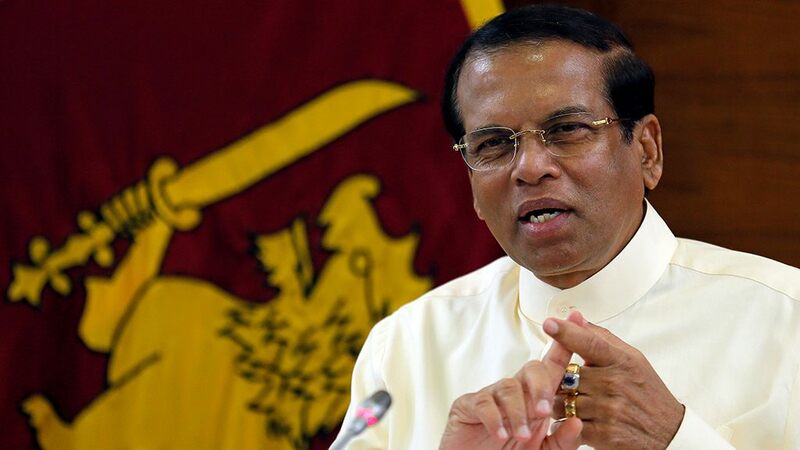 Sri Lanka’s President Maithripala Sirisena speaks during a meeting with Foreign Correspondents Association at his residence in Colombo, Sri Lanka, in November 2018. Wanted: hangman. Must have “mental strength” and “excellent moral character”. Sri Lanka is advertising for the post after the country&apos;s president vowed to resume executions as part of a Philippines-inspired war on drugs, according to reports Tuesday. An advert that began running in a state-run newspaper this week says the job is open to Sri Lankan men, 18 to 45, and pays about 36,310 rupees, the equivalent of about $200 a month, Reuters reported. There are openings for two hangmen, Agence France-Press reports. After a visit to the Philippines last month, President Maithripala Sirisena said he wanted to copy President Rodrigo Duterte&apos;s controversial strongarm tactics to combat illegal drugs, according to AFP. Siresena wanted hangings to resume in the next two months. The country’s last hangman quit in 2014 without ever executing anyone after being shown the gallows for the first time, according to Reuters. Sri Lanka, which hasn’t executed anyone in 43 years, has 436 death row inmates, including 25 convicted of drug offenses, the news wire reported.